As a professional wedding planner, I will bring my eye for design, organizational skills, my relational gifts with people and my love for detail to your wedding. Our weddings and events are beautiful, unique, organized and fun. Let us bring our talents to your wedding. 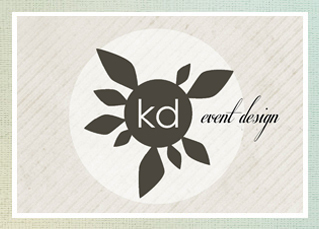 KD Event Designs specializes in boutique events and fine entertaining. Believing that each couple is is unique, we create events that complement individual style and expression. We demystify and simplify event details with artistic flare, professionalism, organization, & enthusiasm. A master of the non-traditional approach, KD Event Designs can transform any space into a magical venue reflecting a love of simplicity and a passion for incorporating natural elements and environmental consciousness. We reuse and recycle as much as possible. The results are always festive, familiar and fabulous. Heart of Sedona Weddings does it all. Every wedding, large or small, formal or informal, indoor or outdoor will be exquisite, harmonious and unforgettable. My goal is to help give shape to your dreams and remove any stress by organizing the many details of one of the most important days of your life.